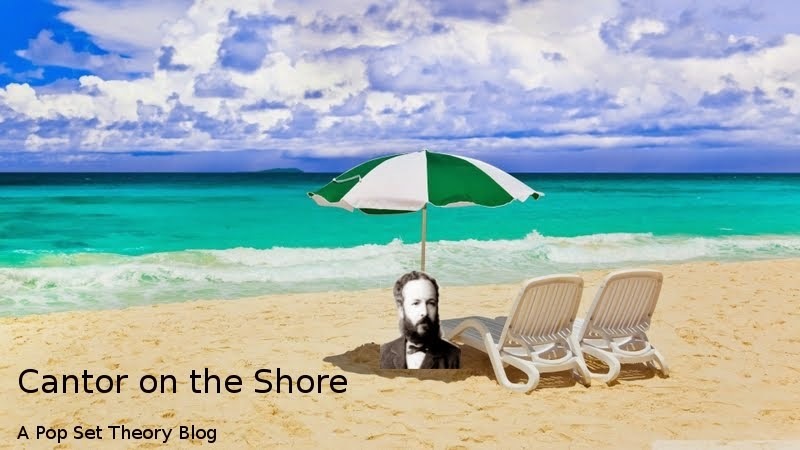 Cantor on the Shore: Don't be naive, Google! And now this blog is as contemporary as ever! Google's doodle today is about the 180th birthday of John Venn, the "inventor" of Venn diagrams (their history, in fact, is much more complicated). Now, I know I have been a bit harsh in my manifesto about them. I should apologize: they really are important. Just think of the concept of set. It's something very extravagant and abstract: it splits the world exactly in two, the things that are in the set, and the things that are not. How could we arrive at that? 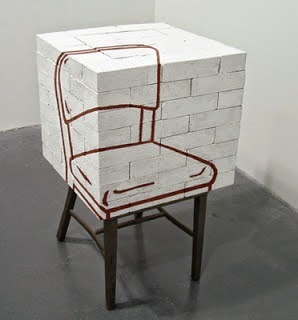 The real world is much more vague: think for example of the set of chairs. Can you really say which objects are in it and which are not? Is a stone in it? You can sit on it! And a doll chair? You cannot sit on it, why do you call it a chair? Bah! Is this a chair? You tell me. I mean, Plato would say that there is an idea of the chair, and then the physical objects adhere more or less to that idea. There is no sharp line between "chairs" and "not chairs". Yet a set-theoretic approach is exactly what is needed for the abstract thinking. Every concept entails the existence of the set of objects that apply to that concept, and (here is the master stroke) you can use that set as an object, manipulating it in different ways, creating new concepts even in transcendental ways. One can make intersections, unions, complements, talk about sets of sets or sets of sets of sets. The possibilities are endless. This is what is called Naive set theory: not formal, but effective in practice. And the Venn diagrams give an immediate way to imagine it. You can find naive set theory everywhere. Think about linguistics: when you say that somebody is beautiful AND smart, you are saying that he is a member of the intersection of the set of beautiful people and of the set of smart people. 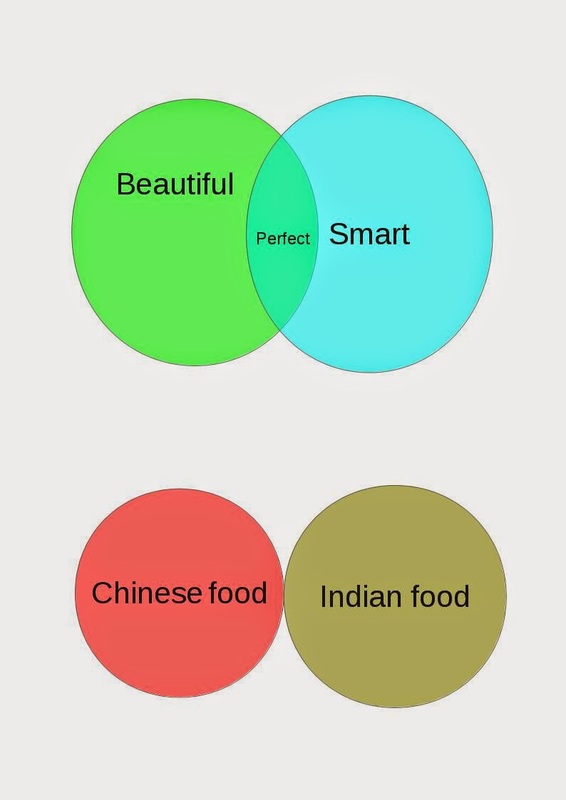 If you say that tonight you are eating Chinese OR Indian food, you are sayin that what you are going to eat is in the union of the set of Chinese food and the set of Indian food. So AND is in fact an intersection, and OR is a union. But then what about Google search. If you search "Marilyn Manson" "cute bunnies" (the AND is implicit), it (should) give you the intersection of the results for Marilyn Manson and the results for cute bunnies, while if you search for "apocalypse" OR "Facebook down", it will give you the union of the two results. This is clearly just an example of the action of filtering a database, and without it the world as we know it would just collapse. Things can get weirder: there is something called musical set theory. The earliest example I know (but I am not a musicologist, so take it with a grain of salt) is Herma by Iannis Xenakis, where he established a set of notes and then used set-theoretic operations to change it in different ways. In short: yes, Venn diagrams are great. But when you have to do things that are more complicated, they become useless and more formality is needed. So the next person that tells me "so you work with Venn diagrams", he's going to feel the intersection of my fist with his mouth. A naive approach to sets can lead you to beautiful poems. But not to iconic phrases.